We know that making the decision to buy new, or replacement, windows isn't always easy. Maybe one of your windows has broken and you're looking for a replacement that will match the other windows in your home as best as possible - despite the fact that they may be older windows. Or maybe you've decided it's time to replace all the windows in your home with new, more energy efficient, easier to clean and more aesthetically appealing windows to give your home a beautiful new look while reducing your energy bill. Whatever your situation, there are hundreds of choices - from types of windows, energy efficiency features, security features of glass and latches, designs with grilles, glass types - and that's before getting into the colors and sizes! But have no fear and don't spend a lot of time researching - we'll do that for you! We're window experts and we eat, sleep and breathe windows, their features, the many options available and the benefits of each one. When you request a free estimate we'll introduce you to the many window manufacturers we sell and install windows for and find out more about your objectives. We'll likely even walk you through a few decisions you hadn't yet considered. 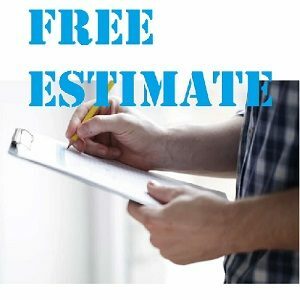 Once you have your free estimate, at least you'll have the options, features and pricing questions answered and you can compare that to other Cleveland area window companies because we're confident that we have the level of quality you want at the price you can afford and we look forward to working with you for all your new and replacement window needs.